PT Geluran Adikarya produces various types of product which mainly in pressure vessel and transport and storage tank. With the company’s vision of being a world class company in mechanical equipment manufacture, we are continuously learning to create better quality products in each production so that we can meet customer specification and expectation towards every product. Besides that, our company’s values which are quality, efficiency, customer satisfaction and loyalty become our base to deliver high quality product with competitive price and long-term after sales service to each product. The economic growth in Indonesia leads to increase demand of pressure vessel and transport and storage tank. To respond this opportunity and win the market share in nation, our company has numbers of strong human capital and high technology machinery in our production. This, enable us to manufacture high quality product in relatively short period of time with competitive price. Through the years, our experience in manufacturing pressure vessel and transport and storage tank develops acknowledgment from Pertamina. 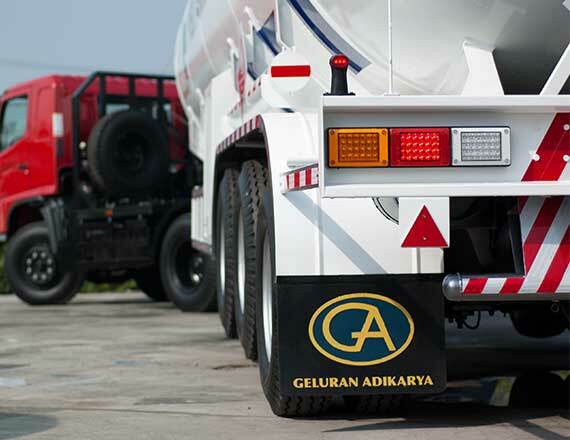 In 2011, PT Geluran Adikarya has been registered as “Vendor Resmi Pertamina”. Other, we also obtain certification on ISO 9001: 2015 and ASME U Stamp. These certifications are proven that PT Geluran Adikarya is manufacturing high quality products based on high and reputable standards.